Opinion: Happy 5th Birthday The Bribery Act – you’re now a toddler. 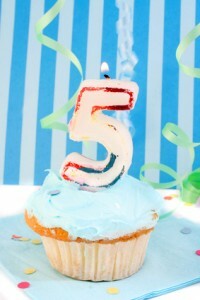 The Bribery Act’s fifth birthday went by with barely a ripple but at thebriberyact.com we could not let it pass without a short celebration, a quick look back and a look forward for what the next five years holds. Avid watchers know the Bribery Act 2010 was passed into law in the ‘wash up’ before the end of the last Parliament (when the last elections took place in the UK) exactly 5 years ago and came into force just over twelve months later on July 1, 2011. The Bribery Act was born amid a huge public fanfare, plenty of hype and lots press coverage. Prosecutions would be imminent and UK PLC would be seriously disadvantaged on the global stage as a result of the ‘red tape’ of the Bribery Act. In 2015 it is hard to square the reality of what happened with what the naysayers forecast. A handful of individual prosecutions under the Act but none of them are ‘Bribery Act’ cases in the true sense of the word. Put another way, the hype around the Bribery Act focussed on the potential enforcement of new UK anti-corruption laws against corporates UK and foreign who fell under the long arm jurisdiction of the Act. To date, there has been no corporate prosecution launched and no Deferred Prosecution Agreement disposing of a Bribery Act case. Five years on the UK economy is the strongest in Europe and predictions of the the demise of UK PLC turn out to have been premature. So. What was all the fuss about? Bribery is now on the radar in the UK and elsewhere in a way it was not in 2010 and public awareness is high. The SFO and other law enforcement agencies have a number of ongoing Bribery Act investigations into corporates. It would be a mistake to equate a lack of prosecutions with a lack of law enforcement activity. Likewise, the Bribery Act has brought a step change in Anti-Bribery compliance standards. In many cases, non US corporates have put in place an Anti-corruption program for the first time. However, in many cases these shiny not so new programs are, in fact, nascent. On the compliance front expect programs to continue to evolve. Today there are many compliance experts but fewer people with real world experience at the sharp end. Sadly we expect that this disparity will result in compliance gaps through which unethical people may drive a coach and horses and create possible corporate exposure. To help plug this gap we edited the Transparency International UK publication: How to Pay a Bribe and How to Stop it – on the basis that unless you how people engage in bribery there is little chance of being able to stop it. Over a quarter of CCO’s thought bribery widespread in their country. Nearly one in five sales executives said bribery was widespread to win contracts. Less than 1/3 business conduct anti-bribery due diligence on an M&A transaction. Perversely anti-bribery training was reported to be less likely to take place in high risk places. Nearly 20% reported that they did not have an anti-bribery policy. There has been a reduction in the level of reporting of compliance issues to the Board. A Deferred Prosecution Agreement disposing of a Bribery Act investigation into a corporate is now on the horizon. We predict that there will be one this year. Watchers should also expect the launch of the first corporate prosecution for Bribery Act violations. Compliance programs will evolve beyond the formulaic approach of a policy, some training and some new forms. On this front we shall be writing over coming months about a new, holistic approach that we have been spearheading which aims to get to the heart of the matter. But more of that anon. In the meantime, the Bribery Act has moved from crawling to walking. Anyone for cake?